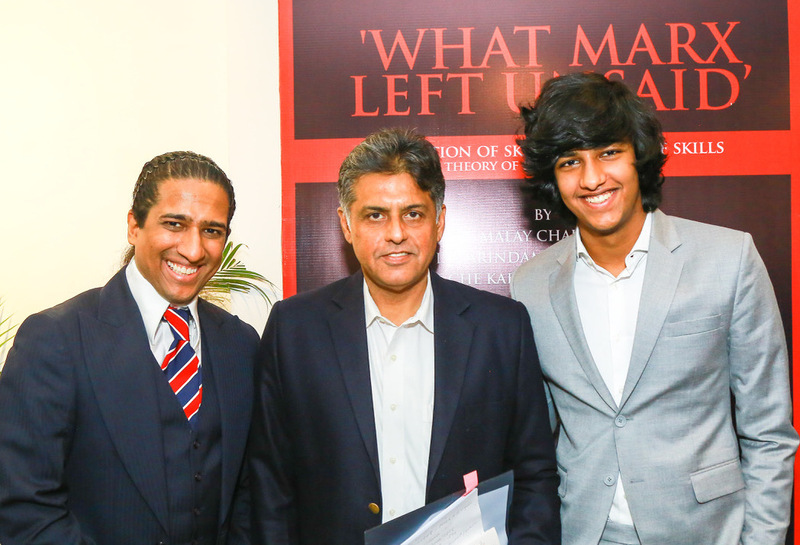 New Delhi: Politician and author, Manish Tewari launched ‘What Marx Left Unsaid’ – ‘Production of Skills by Means of Skills’ authored by Dr Malay Chaudhuri, Dr Arindam Chaudhuri and Che Kabir Chaudhuri recently at India International Centre, New Delhi. The book elaborates and illustrates why human beings must earn as per their skills, which in turn determines their ability to contribute in society. And skills, must be measured fairly. All that we need, to produce skills, are two things. First, the readiness to sacrifice unskilled labour and what any man is capable of giving. The second is a certain amount of skilled hours of a trainer. The book is jointly written by three generations of authors from the same family. It has been published by Times Group Books. Dr. J.K. Mitra, former Dean of FMS who was also present at the launch said that what Marx said is still being discovered and this book would only add to it.